From the understated brick-veneer homes of the 80s to the rise of the McMansion in the 90s, the inner-city suburbs of Melbourne have showcased an eclectic range of residential homes over the decades. 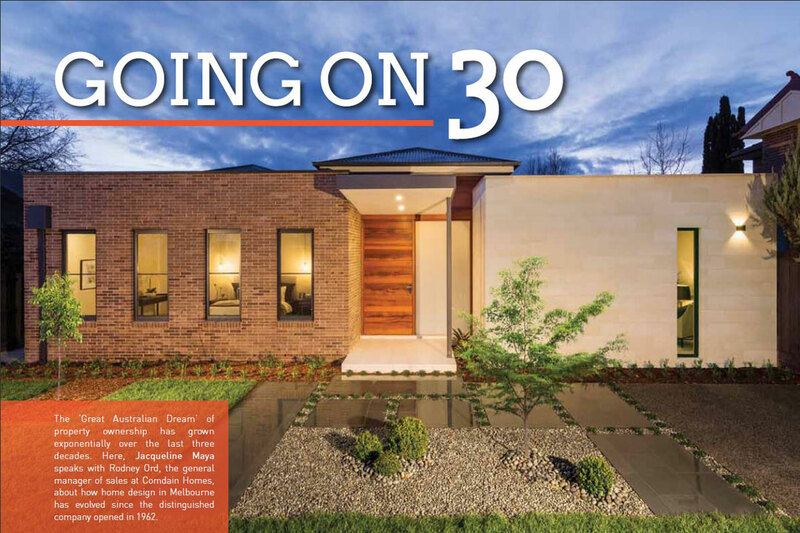 Here, Melbourne Home Design + Living celebrates the development of local home design by looking at past and current industry trends, and predicts what the future may hold for our urban streets. 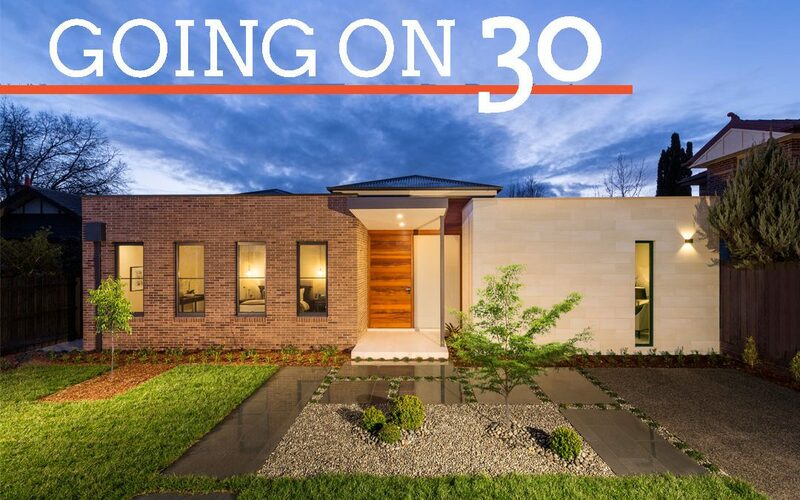 Over the last 30 years, Melbourne’s residential home design and construction industry has seen remarkable growth, and it’s easy to see why. 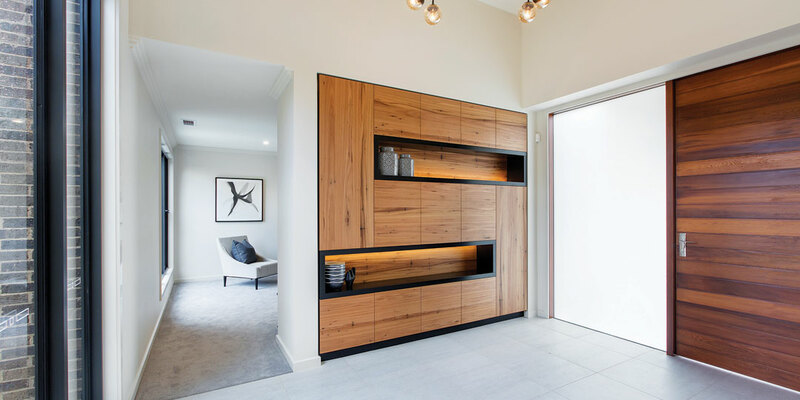 Designers and builders are astutely aware that a ‘one size fits all’ property can no longer meet the expectations and needs of the modern family. Rodney Ord has seen a significant change in the housing market; “[homeowners] are requesting bigger houses than we’ve been building [in the past, which has resulted in] more two-storey homes being designed and constructed”, he says. With this in mind, Ord has also noticed a shortfall in the marketplace for executive-style, single-storey housing. “With baby boomers reaching the age where they typically don’t want to be walking upstairs, this change makes sense,” he says. However, house sizes aren’t the only thing that’s changed. All aspects of the home have undergone a transformation, from its design, construction, technology, and materials, to the inclusion of environmentally-friendly features. The rapid evolution of Melbourne home design is due to developments in the surrounding environment, as well as homeowners’ ever-changing lifestyle requirements. Separate rooms that were once designated for a single task have now become obsolete in favour of open-plan kitchen, living and dining areas, which make a home feel more open and inviting. The desire for a more spacious and communal abode extends to the outdoor area as well. Urban density has homeowners dreaming of reconnecting with nature. Whether you live on an expansive block or in a small-lot apartment, more consideration is being given to how we coexist with the great outdoors. Correct site orientation can improve the liveability of your home, maintain your well-being and enhance your lifestyle. Large floor-to-ceiling windows, gorgeous wraparound balconies, and double-glazed bi-fold glass doors are just some the elements that are being included into a home’s design to provide a seamless transition to the garden. “French Provincial homes have always been very popular, and now clean and modern minimalistic architecture has become the flavour of the month – we can see it in the square, box-style housing that most builders now offer,” Ord says. While home designs have undergone significant changes, comparatively the construction of a home remains much the same, except for its increased commitment to improving the overall health and safety of tradespeople working on site. Technological advances have also made the construction of a home far easier than in the past. Self-operable machinery can improve work efficiency on site, as well as reduce construction time, which means modern homeowners can move into their dream abode on time and within budget. As advances in automated technology continue to flourish, more and more Australian homeowners are enjoying the benefits of living in a ‘smart home’, which can enhance the safety, comfort and health of your family. At the touch of a button, your home can be monitored and maintained with ease, and increased security levels allow for peace of mind. “Smart-home technology is continuing to grow,” Ord says. “Intelligent home-security systems are becoming increasingly popular with homeowners, particularly those who travel a lot.” Provided you have internet connection, you can respond to a visitor at your front door from anywhere in the world, open your garage door, and even activate lights and alarm systems. Timber, bricks and mortar remain stock standard in home construction. However, common materials such as these have evolved to provide a range of benefits for homeowners, such as reducing overall costs and improving the home’s durability. There’s an endless range of tiles and brickwork available to homeowners today. Bluestone, sandstone and limestone tiles provide a natural-looking aesthetic, while stacked feature stones and textured brickwork can add a touch of elegance and personality to any home. These days, homeowners are looking to make their home as cost-effective and as sustainable as possible. Utilising a passive solar design will make the best use of your property’s sun, shade and breezes, which will help reduce ongoing utility costs even before factoring in other energy-saving features like photovoltaic (PV) solar panels and water tanks. From the traditional Boom-style home of the Victorian era to the effortlessly contemporary style of a 21st century abode, Melbourne home design has come a long way. But what can we expect in the future? Residential architecture is constantly evolving; from its shapes and colours, to the materials used, there has never been a more exciting time to push boundaries. According to Ord, mid-century or ‘Brady Bunch’ house designs are in vogue at the moment. The signature use of curves and circles creates a visually striking effect, while also maximising the overall space available. While trends come and go, Ord expects that a clean, modern and minimalist design will not be falling out of favour any time soon. No matter what style of home you choose, engaging a professional designer and builder, as well as selecting high-quality and sustainable materials will ensure that your home stays looking fresh and contemporary for many years to come.